At NMA we are privileged to work with some of the best and brightest business leaders and owners in the world. Often they share their successes with us so that we can share them with you. NASP (Nashville Association of Sales Professionals) hosts a weekly networking group in addition to a monthly meeting. An educational segment is a focal part of each of these meetings so we all see a number and variety of speakers. Without reservation I would rate Natalie in the very top tier of all the speakers we have had. Every single attendee made a point to tell me how much they enjoyed hearing her, with a group of people that do presentations for a living this was very unusual. At least one was so moved she admitted tearing up. Make no mistake, Natalie is not a soft “feel good” type of speaker. She comes out hitting the audience right between the eyes with solid truths and direct observations from the conversations she had with the attendees beforehand and on her own personal life struggles. She got everyone’s attention and then held that attention throughout the presentation as the time flew by. The content presented was spot on to the audience, with exactly the type information we needed to hear. Do not hesitate to bring Natalie in to address and train any group! 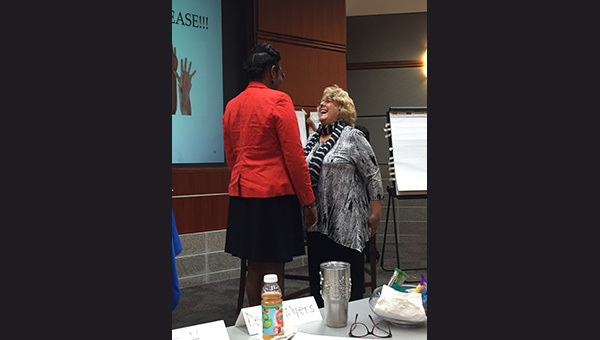 Natalie Manor did an amazing job at our monthly NASP (National Association of Sales Professionals) today talking about how to listen better. I especially enjoyed hearing her say, “Listening is not just waiting to speak.” I know that I have been guilty of that myself. She was focused, knowledgeable and truly added value to everyone in the room by taking the skill of Listening to a deeper level. I am looking forward to improving my listening going forward, and to making a better use of effective pauses when I speak. Thank you, Natalie, for sharing your knowledge with us! Book Natalie to speak at your next event! Natalie, you are just good! You care and the people know it. You are funny. Your content is always perfect and I never have to worry about whether you will hit the mark with what we are trying to provide to our participants. You always hit the bulls-eye. Don’t ever say no when I ask you to come speak…please? 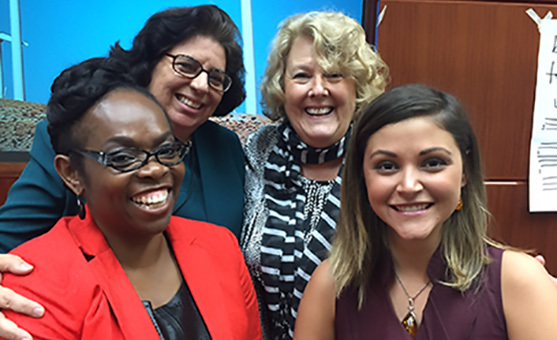 We thoroughly enjoyed your “Delivering Difficult Information Successfully” presentation at the WILL luncheon. Your presentation provided such timely and valuable information on how to deal with difficult issues that come up in the workplace. Natalie, you are a very personal and energetic speaker. As I sat in the audience, you made us feel as though we were all long time friends! Your “Delivering Difficult Information Successfully” presentation was fun and interactive and left a long lasting impression upon all of us. I heard audience members discussing how they were going to implement the tips and techniques they received from your informative session as they left the banquet hall. We look forward to having you as a continued resource for WILL and our other Brookings Area Chamber of Commerce events. I have been attending leadership conferences within the AAF 7th District for five years. By far you had captivated the group more than any other speaker I have ever seen. The breakout session was packed full. People with other meeting obligations left, to attend your session on delivery difficult information successfully after their meetings. In fact, people p9oured into the room until we were at capacity. People signed up for sessions, asked for additional information and asked so many questions that the breakout session lasted beyond the allocated time. The ‘Delivering Difficult Information workshop presented by NMA was definitely one of the most worthwhile professional development activities I have participated in. The concepts addressed helped give me perspective on situations in my own workplace, and I was able to apply them immediately. Thank you so much for speaking to our Kiwanis club! I had a feeling from meeting you and talking with you, that the presentation would be excellent, but it was even better than expected! You have a real gift for connecting with an audience and getting your message across. I’ve had members comment to me before about various programs I’ve brought to the club, but this time must have been a record for the number of folks who told me how valuable your talk was and how they might utilize the points you made about public speaking the next time they were called upon to make a presentation. Please don’t make this a one and done. It was a delight to have you and I hope you’ll come back again in the near future. Sincerity speaks louder than words and people respond when they see that you are genuine. Natalie is one of the few who understands this from a business point of view. You are offering people a chance to be who they are rather than being a “product” of what others think they should be. I attended the Enterprise Bank Women in Business event in March. I had the pleasure of listening to Natalie speak to the group. She is a dynamic speaker with a fabulous message for all women that we can be whatever we want to be and more. Every business woman should experience the empowerment I felt after her presentation. I left the event knowing that I am Fabulous! Thank you Natalie! Natalie is a woman who not only walks her talk; she leaps her talk. Natalie is guided by her tremendous faith in what’s possible and in what she can make happen. 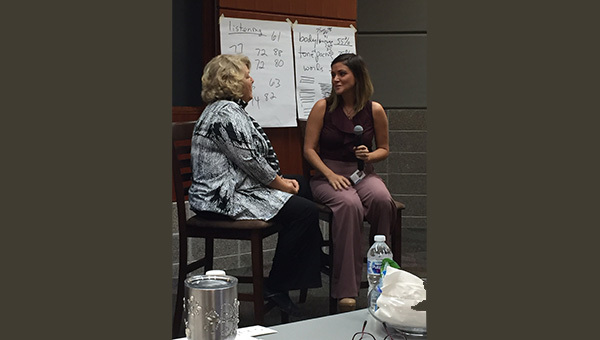 I had the pleasure of having Natalie come to our General Office in Nashville to our 50 employees and it was amazing! She is not only intuitive and so knowledgeable! She reminded us that we are our own biggest critic, and that whatever our role/responsibilities are that we must be kind to ourselves! Her advice advice to have faith, belief and confidence in ourselves, resonated with us all! Natalie’s energy and positive ideas pushed our whole office to the next level confidence and success! Our office is looking forward to having her back for more feedback and tips for success! 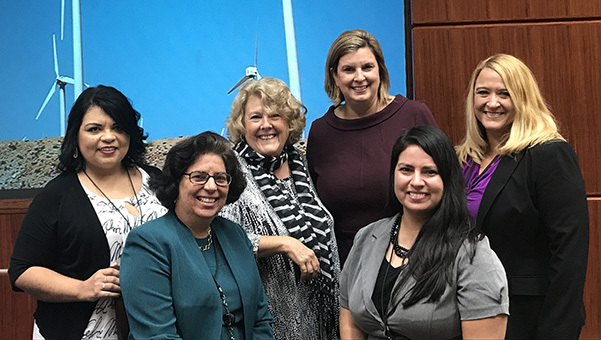 NRG held its annual Women in Power Technical Roundtable in April 2017; Natalie was a guest speaker. Listening to Natalie speak is like having an old friend give you a pep talk. She moves through the room effortlessly and engages whole groups with ease. Her presentation on Confident Communications: Delivering Difficult Information Successfully was a highlight for the 85+ attendees. Natalie continually reminded attendees that they were at the conference for a reason: their supervisors saw value in them, and they should recognize that value. She conveyed the importance of getting rid of unproductive habits that do not support personal needs and goals as well as identifying what needed to be learned to move forward. She even scheduled a post-conference check-in call to follow up with attendees on how they’d used some of the skills discussed during the conference. Thank you for the outstanding job your did in presenting “WOMEN Leaders” at our Annual Meeting and Convention. 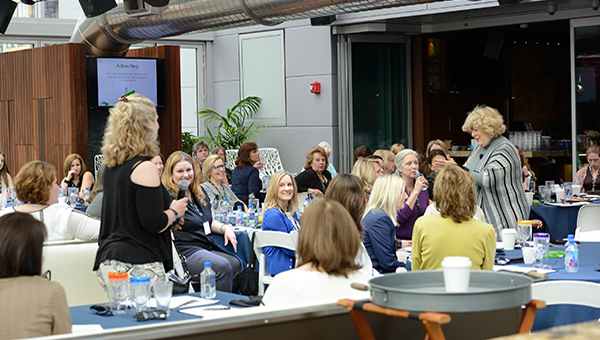 This was the first time we had offered a women’s only breakout and your message was a huge success. 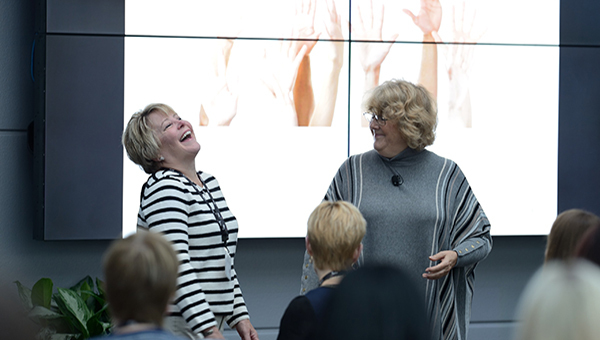 Your energy and enthusiasm was contagious and your ability to connect with our attendees really seemed to keep them engaged and excited about your message. Thanks for putting this program together and uplifting the women leaders of our credit union movement in Kansas. As a professional REALTOR, I serve buyers and sellers regarding real estate transactions. As you can imagine, it is not easy to deliver difficult information whether it be to Sellers expecting a higher offer or Buyers whose offer was declined. This was my motivation for attending the Natalie Manor & Associates “Delivering Difficult Information Successfully” Workshop. During the course of the workshop, the opportunity to absorb the information provided and to participate in actual case study analysis and presentation was most invaluable. I found your repeated suggestion of ‘be curious’ to ‘dig deeper to get to the root of the matter’ was most enlightening. I experienced (vs. learned) that there is more beneath the surface than meets the eye when digging for more information through the exercises. 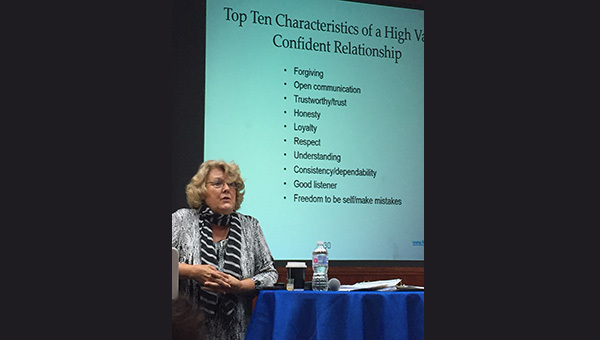 I also gained a greater appreciation for the various behavioral styles through the leadership and communication assessment as to how each profile communicates, which has been helpful in providing comparative market analyses for listing agreements thereby understanding what motivates people and being able to recognize how to effectively deal with others. All in all, improved communications skills reduce stress and conflict. Now that’s a recipe for success! After only one hour in Natalie’s presentation/workshop, I was given the insights and guidance to handle a minimum of three difficult situations I was dreading and procrastinating in dealing with! It was an incredible hour and helped me personally and professionally see how important it is to know myself and what I want to LISTEN! We have enjoyed having you so much. Thank you for your willingness to put together talk for our East TN Chapter of the Association of Fundraising Professionals so quickly. 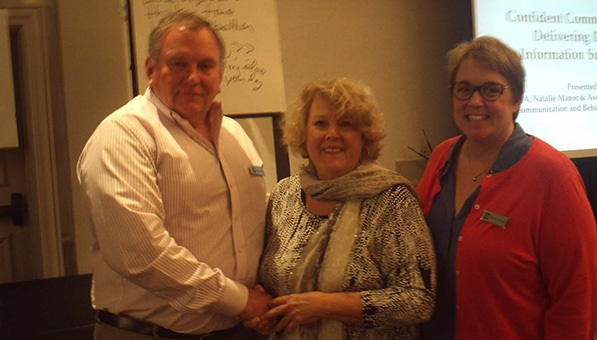 You are an energetic and dynamic speaker that interacted with our group brilliantly while staying on topic. We appreciate that you researched our needs as a group and didn’t fail on delivery. You gave us timely, real world tips, techniques and strategies that we can use immediately in our professional lives. Your co-authored “Give Stress A Rest” is an invaluable tool for any professional dealing with the pace of business and stress in their lives. The format of your Leadership Presentation Skills and Public Speaking workshop really flows nicely. I’ve taken much more expensive courses with not as much benefit. I have attended countless conferences and workshops in my career and your presentation was by far the most informative, clear, practical and enjoyable presentation on Public Speaking. The overall evaluation for the Conference rated it one of the best yet–and your participation as a presenter is reflected in that rating. On behalf of the Retreat Committee, I appreciate the valuable contribution your session made to our overall retreat. Natalie and smart, busy professional women taking the time to hone their leadership skills, share and learn dynamic confident communication skills while supporting the powerful concepts of empowering women. I just wanted to THANK YOU for your time, expertise, humor and love you extended to all of our group last night. Your love for gardening shines when you speak and you were so encouraging to our group of enthusiastic gardeners. Thank you for supporting this program for so long! 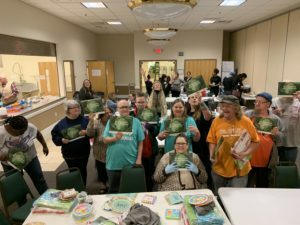 We have been blessed to have so much support over the years in Murfreesboro/Nashville and we hope to continue bringing gardening to low-income folks for many years to come. Blessings to you and Thank you once again!!! 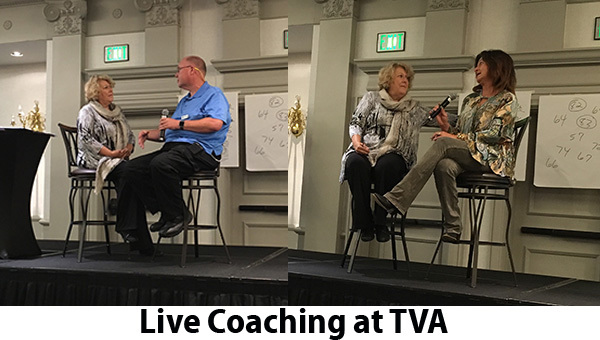 September the leaders of the TVA Natural Resources group gathered for the annual “All Hands” event in Nashville and Natalie Manor was their keynote presenter. Imagine 4.5 hours of content bringing confident success to the technique of delivering difficult information. 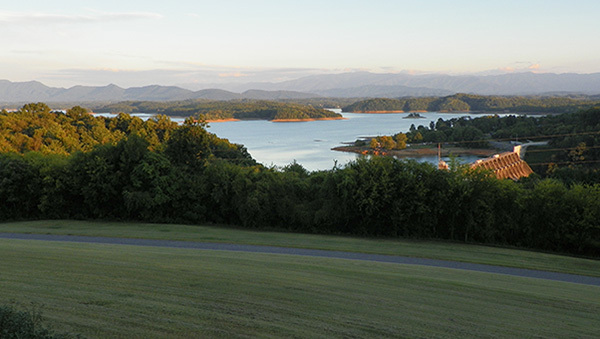 These leaders are responsible for 293,000 acres of land and 11,000 miles of shoreline – challenged each day to keep the resources and the clients informed and served. What a terrific group of men and women. We ALL have people with whom or places where communicating is difficult. 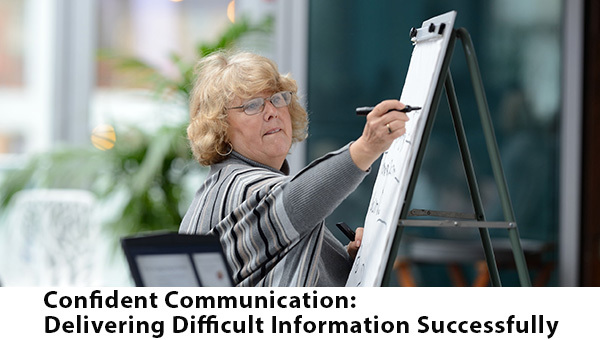 This workshop will teach you specific techniques and strategies to use in order to easily communicate information in difficult situations with confidence. Loved her…please bring her back! 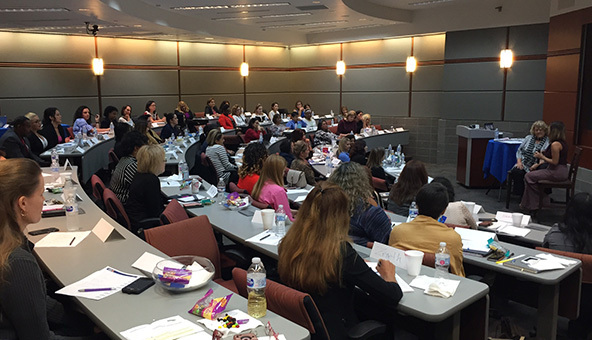 “NRG held its annual Women in Power Technical Roundtable in April 2017; Natalie was a guest speaker. Listening to Natalie speak is like having an old friend give you a pep talk. She moves through the room effortlessly and engages whole groups with ease. Her presentation on Confident Communications: Delivering Difficult Information Successfully was a highlight for the 85+ attendees.